Acclaimed playwright Laura Wade, responsible for writing Posh, brings Sarah Waters's audacious bestselling novel, the subject of a memorable three-part mini-series produced and broadcast by the BBC in 2002, to the Lyric stage in an electrifying new adaptation, directed by Lyndsey Turner who worked with Wade on Posh. 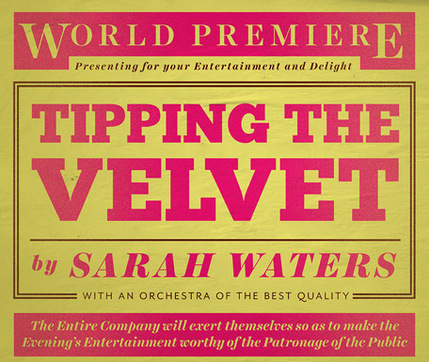 Framing the whole piece "within the language of the music hall and performance", Lyric director Sean Holmes told The Guardian, this stage adaptation of Tipping the Velvet is "a really big theatrical, populist but surprising show". What are the best dining options near Tipping the Velvet London? Tipping the Velvet gyms, sporting activities, health & beauty and fitness. The best pubs near London Tipping the Velvet. Tipping the Velvet clubs, bars, cabaret nights, casinos and interesting nightlife. Where to have your meeting, conference, exhibition, private dining or training course near Tipping the Velvet. From cheap budget places to stay to luxury 5 star hotels see our discounts for Lyric Hammersmith hotels, including Chiswick Rooms from 0% off.